Capo d’ Orlando is situated in the Province of Messina. After Cefalù, Capo d’Orlando makes the most active town sitting on the coast. As legends read, Orlando, one of Charlemagne ‘s generals, decided its promontory was an excellent setting to erect a castle of which there are only vestiges today. The rebellion headed by Baron Roger of Lauria against Frederick II of Aragon took place here in 1299. The baron was supported by Catalonia and the Anjous, therefore its forces crushed Aragon’ s army. Last century in the 90s, the shopkeepers and traders rebelled against the Mafia who demanded their money in exchange for protection, known as pizzo. 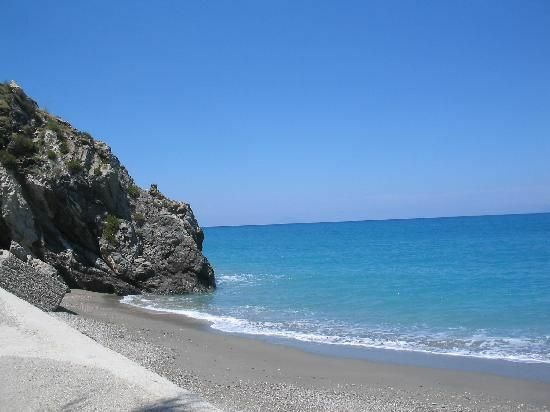 Capo d’Orlando’s span of beaches( about 14 km)(Pictures 2 and 3) are sandy and rocky and draw many holidaymakers. 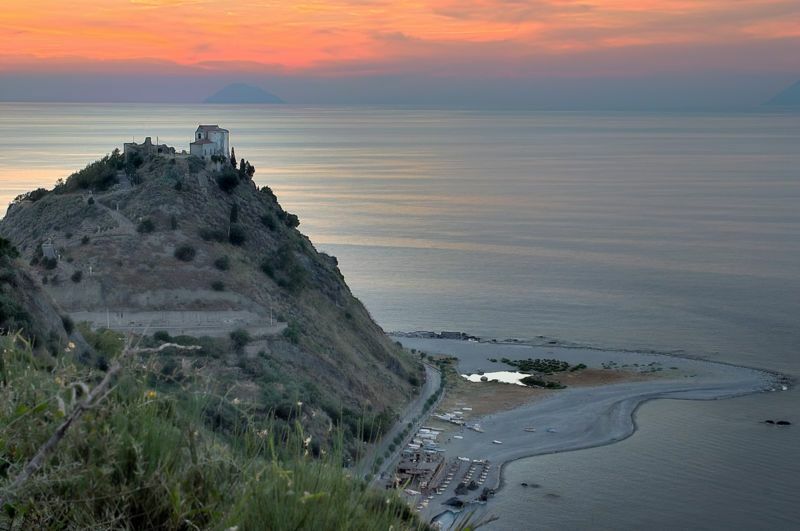 The Aeolian islands emerging from the horizon provide travellers with a magnificent view. For swimming lovers the best option is the east beaches where excelent lodging is also located. There are many any cultural activities in this town such as going to exhibitions, the theatre, the museum “Villa Piccolo” and blues clubs. 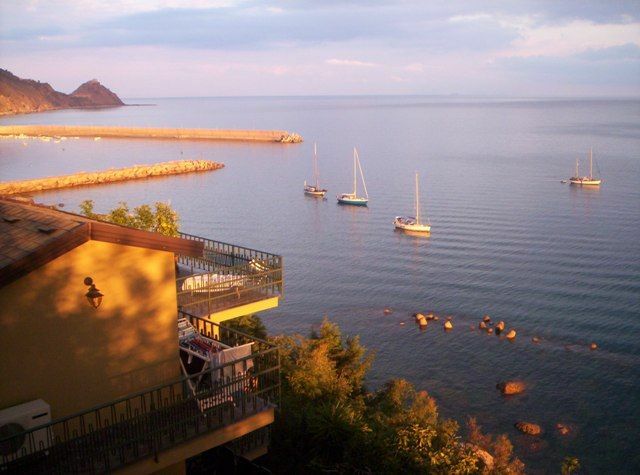 Capo d’ Orlando has a fishing port from where boats travel to/from the Aeolian Islands in the summer. This town is also strategic for it is near the Parco dei Nebrodi, a paradise of nature. The tourist information office of the town will advice and provide visitors with all the information. For more details about the city and times, please refer to the following link www.aastcapodorlando.it ( written in Italian). A Uletta offers a wide variety of dishes based on fish and meat. There are delights to suit every taste and budget. Da Enzo pizza parlour also provides with Italian pasta dishes. BY CAR: go along the Autostrada 20 Messina-Palermo. It goes past Capo d’Orlando. BY TRAIN: from Palermo (length: 2 hours, services: every hour). From Milazzo (length: 1 hour, services: every hour).